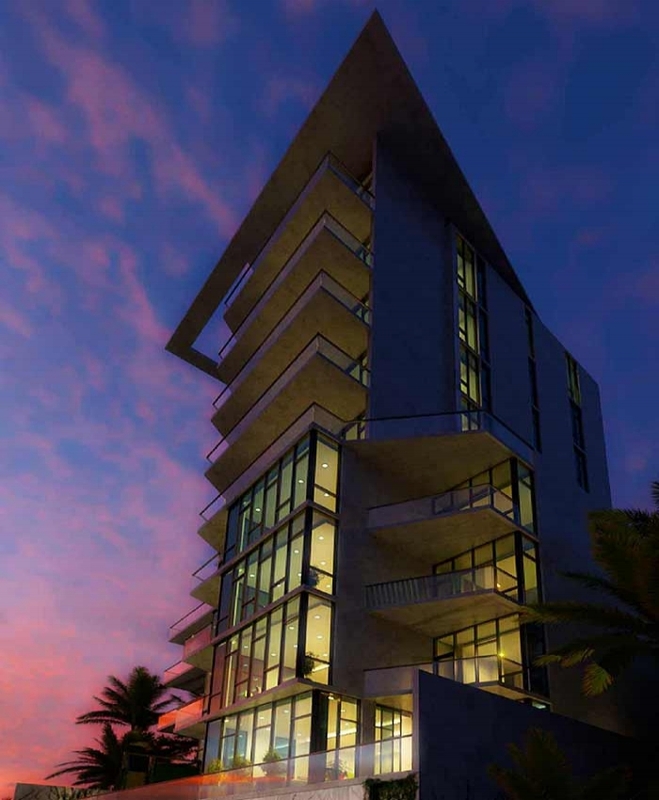 The Collection is the next exclusive residential project to be released in Downtown Sarasota, Florida. This Architecturally forward and significant project will consist of 12 very private and exclusive residences that will range in size from 2,500 SF – 3,500 SF. Offering up to full floor, custom high end, exclusive units with soaring ceiling heights that range from 12’-14’ feet with an incredible expanse of glass and custom options throughout. We are excited to introduce the amenities for this exclusive property that include: An impactful front entryway - lobby with concierge desk, an amenity deck with: Pool, Spa, Yoga and fitness room, sauna, corporate center – meeting room, resident entertainment area with fireplace and wet bar, heated and air conditioned private storage area, dog run and 2 car garage parking for every unit owner. The 10-story structure, 9 living units over parking, is constructed as a concrete two-way post-tension slab system supported by concrete columns. Lateral load resistance is done with concrete shearwalls throughout the core of the structure.